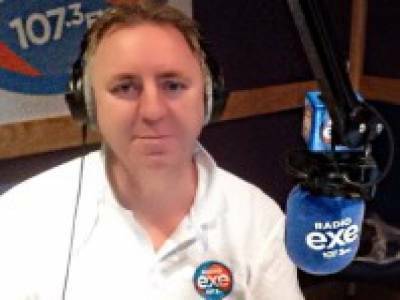 "Simply The Best Professional South West DJ"
Commercial radio presenter as heard on FM and DAB in Devon and multi-award winning wedding and mobile, club and event DJ. Available for mobile entertainment, and all event hosting / function and festival needs. Your wedding or special event is one of the most important days of your life. Don't compromise, hire professionals. 35+ years experience and six decades of music. Best Local Business Excellence Award 2017 / 2018 & 2019. The Wedding Industry Awards Regional Finalist 2019. Silver, Gold, Platinum & Diamond Awards. EV quality sound system and elegant led lighting. Weddings - engagements - birthdays - Valentines - event hosting - corporate events - office parties - festivals - Christmas parties balls - proms - marquees - barns and much much more. Required by many venues, John Johnston Entertainment has a current PLI policy with National Association of Disc Jockeys in the amount of £10 million. Also required by many venues, John Johnston Entertainment has supplied satisfactory evidence of holding current PAT inspections of their equipment dated within the last 12 months. A Method Statement outlining John Johnston Entertainment&apos;s Health & Safety procedure for setting up disco equipment has been provided. John Johnston Entertainment has provided Risk Assessments undertaken at events sourced via needadisco.com, indicating that they can undertake these competently. 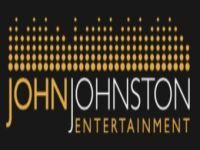 Why do people choose to book John Johnston Entertainment? Very friendly and gave us a discount to match our budget. because he was the only to get back to me plus his setup looks brilliant. Budget and choice of songs. "John was brilliant from the start making it so easy to enjoy the experience,it was all stress free and he met all the requirements that was asked,everyone had a great time I will use John again and will highly recommend him to any one,thank you so much Kind regards Sarah"
"Great night and lovely family to work with. Good sized venue with great electrics." "Excellent evenings entertainment, very professionally conducted.Would recommend him to other people"
"Lovely evening and family and and thank you for positive feedback." "John was an amazing addition to our day. He put our minds at ease emailing us the day before giving us an update, coming and finding us on the day to offer congratulations and talk us through our first dance and then then sending a message afterwards including a short video of the night. Would 100% recommend him for any event "
"Thank you for the positive feedback. It was a magical night"
"I would highly recommend John Johnston Entertainment if you need a disco. His rates were very reasonable and the service provided was excellent. My only criticism was that the music was a bit loud but I should have used my initiative to ask John to turn the volume down slightly. I'm sure if I'd asked, then he would have. Everyone had a very enjoyable evening and there was a good variety of music, old and new. I'd like to take this opportunity to say a big thank you to John." "Thank you for your positive feedback. It was great to meet you, and your lovely family and friends. The weather wasn't great outside but we kept warm and the dance floor full. Thanks again. Kind Regards JJ "
John Johnston Entertainment also offers a range of additional party services not directly linked to musical entertainment. If you are contacting John Johnston Entertainment about an event, it's always a good idea to include the DATE, LOCATION, EVENT TYPE, AGE GROUP and TIMINGS to speed things up!